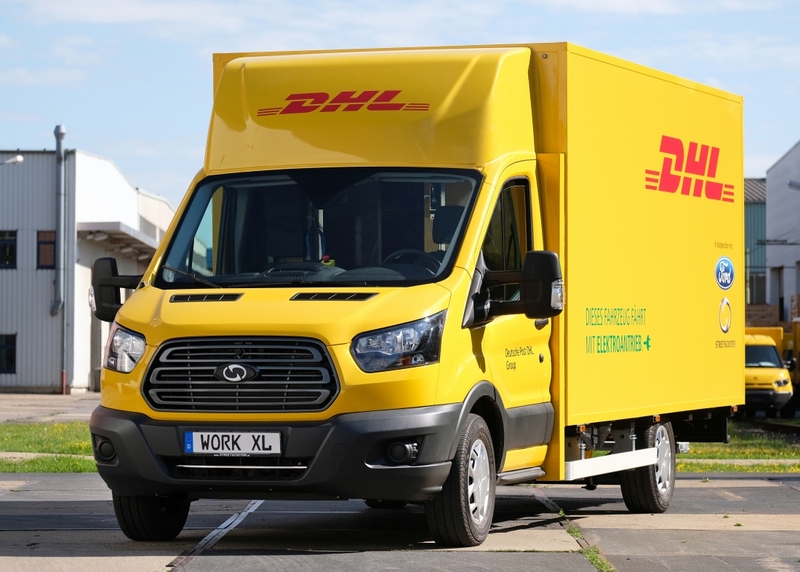 Ford in June said it won a contract to build a fleet of electric delivery vans for Germany's Deutsche Post DHL Group (or as you probably know it, just “DHL”). On Wednesday, the public got its first look at the all-electric package-mover. Dubbed the StreetScooter Work XL (it’s co-developed by a company named StreetScooter), the delivery van is built on a Ford Transit chassis and outfitted with an electric powertrain. It is fitted with a modular battery system delivering 30 to 90 kWh of power which will provide a range of between 80 km and 200 km (50 and 124 miles). The body was designed and built to DHL’s specifications to accommodate more than 200 parcels. Around 150 vehicles will roll off the assembly line this year ahead of a production ramp-up in 2018 that’ll see 2,500 e-vans built by the end of the year. DHL notes that each Work XL could save around five tons of CO2 and 1,900 liters (around 500 gallons) of diesel fuel each year. With 2,500 vehicles in service, it is estimated that the fleet could result in a savings of 12,500 tons of CO2 and 4.75 million liters of fuel annually. Jürgen Gerdes of DHL said the StreeScooter Work XL is the perfect vehicle for parcel deliveries in major cities and large urban areas, adding that it’ll enable them to cope with the rising parcel volumes in an even more environmentally friendly and quieter manner.